Christmas chaos reigns in this festive ski resort. 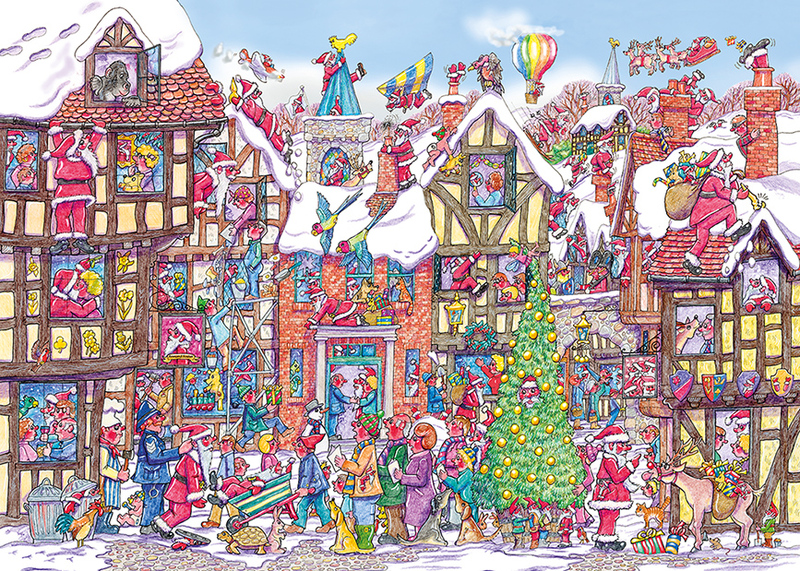 Seventy-Six Santas, large and small, have been let loose and are getting up to all sorts of mischief. Can you spot them all? Beautifully painted by artist Steve Read.